The Israeli Authorities has announced, on Sunday evening, that the military will be placing the entire West Bank, and the Gaza Strip, under a very strict siege, for four days, during the Purim Jewish feast. 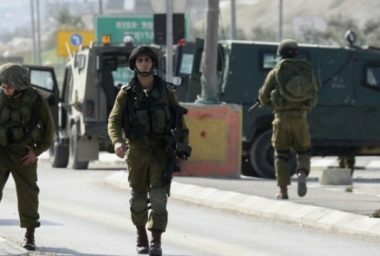 The occupied Palestinian territory will be completely closed and isolated starting on Tuesday night at midnight until Saturday night at midnight. Israel will be closing all border terminals, including for those who carry permits, except for urgent cases, including medical. Workers, and patients who have appointments in Israeli clinics, will not be allowed into the country. The Israeli authorities always close, and impose strict sieges, on the occupied territories during Jewish and Israeli national holidays, regardless of the security situation.